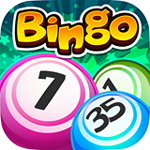 Alisa Bingo has high quality graphics and themes never before seen on mobile, you’ll have a lot of fun while playing Bingo. Can you unlock all the rooms and complete all the objectives? Mobile for Android and iOS. Play on Facebook! Share Alisa Bingo Free Gifts.